I took this photo outside of the north Whole Foods Market with my iPhone camera, no post processing. 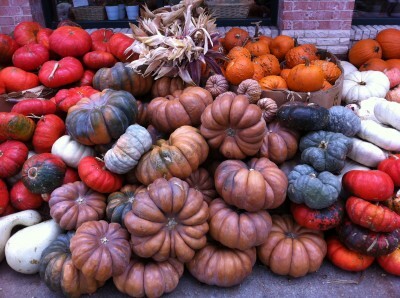 I didn’t even know there were so many kinds of pumpkins! and also; i am hoping to start out a website like this. with cool and wierd things on it. and i have a question; if you shoot a laser at a 90 degree right angle from 45 degrees it will shoot the same direction back at you, but what if you shot a laser from um… 32 degrees would it still be the same?